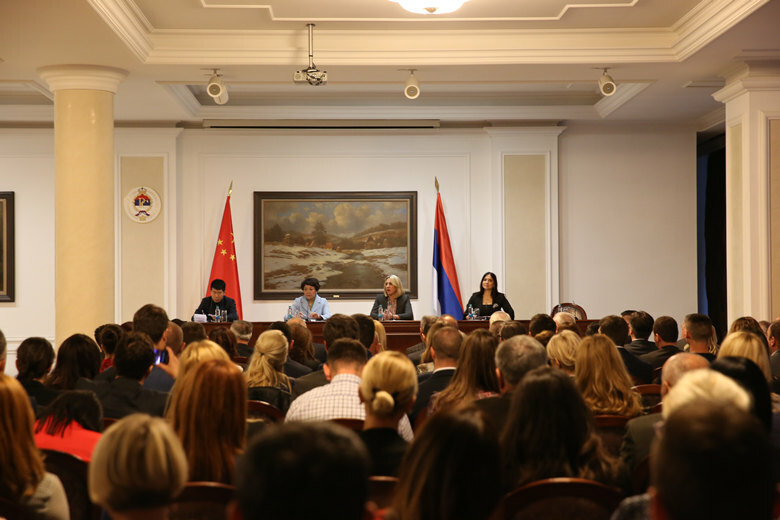 On November 17, the RS Government organized a roundtable discussion themed on “Relation between Republika Srpska and China - cooperation achieved and possibility of its promotion”. 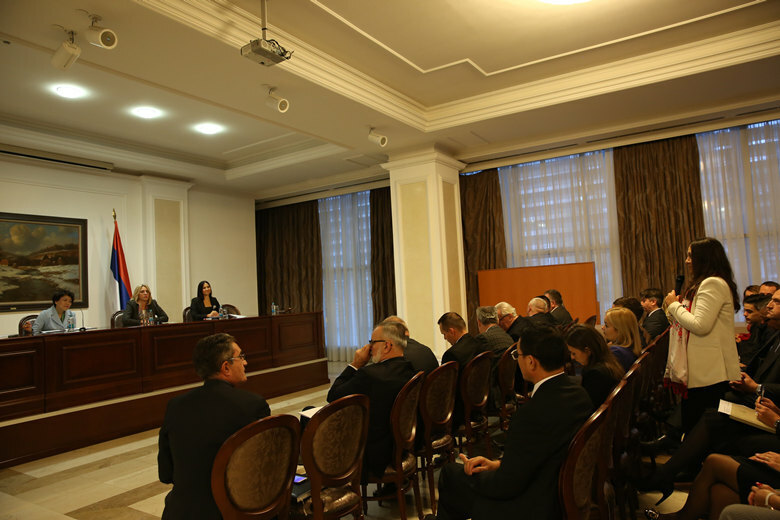 Ambassador Chen Bo and Prime Minister of Republika Srpska Željka Cvijanović addressed the assembly. The meeting was attended by eleven ministers of the RS Government and nearly one hundred civil servants who visited China and participated in various seminars organized by the Chinese side. Ambassador Chen Bo briefed the assembly on the 19th National Congress of the Communist Party of China and highlighted that China would remain committed to peace, development, cooperation and joint progress, and continue with international cooperation initiative “Belt and Road”, which will provide new opportunities for cooperation between China, Bosnia and Herzegovina and RS. The present cooperation between RS and China is gaining momentum. Starting from the Stanari Thermal Power Plant, the cooperation is constantly expanding and deepening, marking progress in the fields of large energy and transport projects, education and culture. She also voiced hope that the officials who participated in seminars in China will offer suggestions for continuation of the good cooperation. The Head of the RS Government stated that the successfully held 19th National Congress of the CPC not only outlined the plan for China’s domestic and foreign policy, but also opened new possibilities for deepening practical cooperation between China and RS. 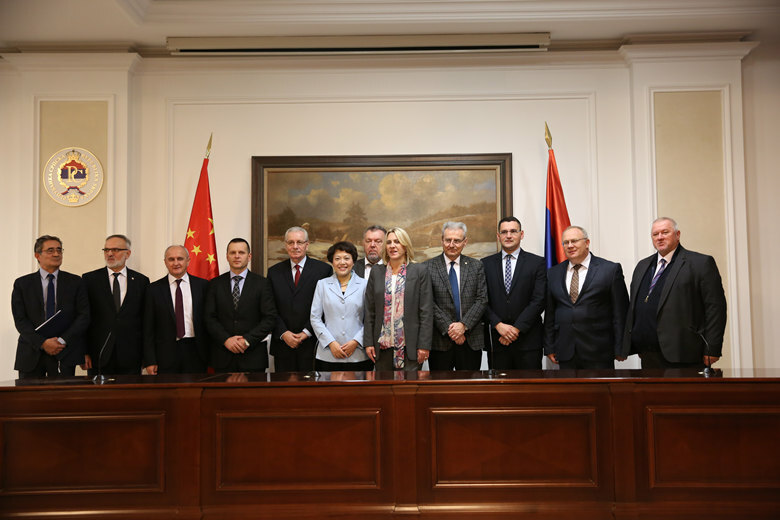 Republika Srpska is committed to enhancing cooperation with the Chinese partners. She voiced hope that participants of various study programs in China from the RS institutions will utilize the acquired knowledge, put it in function of further development of friendly relations between RS and China, and give contribution to their cooperation. Deputy Prime Minister and Minister of Justice Antun Kasipović, Minister of Industry, Energy and Mining Petar Đokić, Minister of Transport and Communications Neđo Trninić, Minister of Interior Dragan Lukač, Minister of Health and Social Protection Dragan Bogdanović, Minister of Agriculture, Forestry and Water Management Stevo Mirjanić and other ministers from RS presented the progress made in cooperation with China, as well as their ideas and proposals for its further deepening. After the meeting, the Head of the RS Government presented Ambassador Chen Bo with a plaque as a sign of gratitude to the Embassy of China in BiH for its efforts and activities on improving cooperation with RS.